The 720MW Mangdechhu hydroelectric project is being constructed in the Trongsa Dzongkhag District of Bhutan. Image courtesy of Marti Holdings. Construction of the Bhutanese hydropower project began in June 2012. Image courtesy of Marti Holdings. A 13.54km-long headrace tunnel is being built for the Mangdechhu hydroelectric project. Image courtesy of Marti Holdings. Alstom is providing power transformers for the Mangdechhu hydropower project. Image courtesy of Alstom. The Mangdechhu hydroelectric project is a 720MW run-of-river power plant being built on the Mangdechhu River in Trongsa Dzongkhag District of central Bhutan. Mangdechhu Hydroelectric Project Authority (MHPA), which is constituted by the Indian Government and the Royal Government of Bhutan, is developing the project. Mangdechhu is one of the ten hydroelectric projects planned under the Royal Government of Bhutan’s initiative to generate 10,000MW hydropower by 2020 with support from the Government of India. An agreement was signed between the two governments for the execution of Mangdechhu HEPP in April 2010. The INR33.82bn ($551m) project is funded by the Government of India through a 70% loan and a 30% grant. "The project is estimated to generate 2,923GWh of electricity and offset 2.2 million tonnes of CO² a year from the atmosphere." Construction of the hydropower project began in June 2012 and commissioning is expected in September 2017. The project is estimated to generate 2,923GWh of electricity and offset 2.2 million tonnes of CO² a year from the atmosphere. The Mangdechhu run-of-river hydroelectric project will comprise a 101.5m-high concrete gravity dam from the deepest foundation level, two intake tunnels of 196m and 150m length, and a 13.54km long headrace tunnel capable of discharging 118m³ of water a second. The 152m-high surge shaft will be 13.5m in diameter, and water will be fed to the underground power house through two steel-lined pressure shafts measuring 1,853m long and 3.5m in diameter. The underground power house of the Bhutanese hydroelectric project will comprise four 180MW Pelton turbines to be supplied by Bharat Heavy Electricals Limited (BHEL). The main cavern of the underground power house will be 53m high and 231m long. Most of the electricity generated by the Mangdechhu hydropower project will be used to meet the energy requirements of Bhutan and the surplus electricity will be exported to India. The produced electricity will be transmitted to the Jigmeling substation in Bhutan by means of two 80km-long 400kV double-circuit transmission lines. Electricity to the Indian grid is proposed to be transmitted from Jigmeling to Salakati or Siliguri. India’s state-owned National Hydroelectric Power Corporation (NHPC) acted as the design and engineering consultant for the Mangdechhu hydropower project. Jaypee Group subsidiary Jaiprakash Associates was awarded the contract for the construction of the dam, diversion tunnels, underground powerhouse, shafts and the intake structures for the Mangdechhu project. The 1,020MW Tala hydroelectric project is the biggest joint project between India and Bhutan so far, generating 4865 million kWh/yr. Jaiprakash Associates subcontracted Bauer for the installation of seepage cut-off walls at cofferdams and the related foundation engineering works enabling the installation of the main dam. Gammon India was contracted for the construction of adits and the 13.5km head race tunnel (HRT) works. Marti India was subcontracted by Gammon India for executing 8km of HRT tunnelling work. BHEL was awarded a INR5,940m (approximately $110m) contract to provide electro-mechanical equipment package for the project. The scope of the contract includes the manufacture, supply, erection and commissioning of four Pelton turbines and generators, control system and other auxiliary equipment. 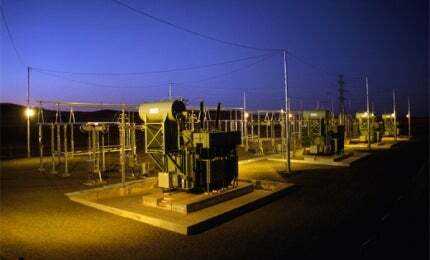 Alstom T&D India is the supplier of power transformers for the project. It will supply 13 units of 75 MVA, 400kV generator transformers and an 80 MVAR, 400kV shunt reactor. PES Engineers was contracted for the construction of diversion tunnel gates and spillways, and other hydro-mechanical (HM) works. Bhutan Power Corporation (BPC) was entrusted for the construction of transmission lines from Mangdechhu plant to Jigmeling. BPC engaged the Central Electricity Authority (CEA) and Water and Power Consultancy Services (WAPCOS) of India as consultants for the design and engineering of the transmission lines. Kalpataru Power was contracted for the construction of the two 400kV transmission lines.